(Approx Size:) L 1.0 cm, W 0.95 cm Thread Hole 0.5 cm. 1 x NEW Gift Wrapped Present Gold Colour Crystal Charm. (Approx Size:) L 1.0 cm, W 1.0 cm Thread Hole 0.45 cm. Gold Coloured Alloy. 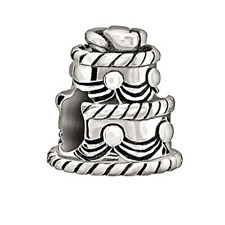 Pandora 'Bride and Groom' Sterling Silver S925 ALE Charm . 100% Genuine Pandora. FREE Black Drawstring Pandora Gift Bag. 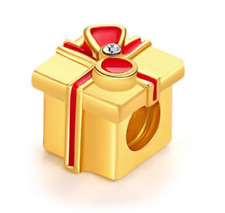 This listing for 1 x 9mm Italian Charm with MOTHER OF THE GROOM on a MATT finish base ***please read the full description BEFORE buying*** Remember to click ADD TO BASKET to ensure you always qualify for our promotions and SPECIAL OFFERS! Don't just click Buy It Now!. 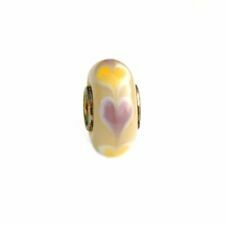 This listing for 1 x 9mm Italian Charm with HAPPY MOTHER'S DAY on a MATT finish base ***please read the full description BEFORE buying*** Remember to click ADD TO BASKET to ensure you always qualify for our promotions and SPECIAL OFFERS! Don't just click Buy It Now!. Set of 2 dangle charms for Grandmother and Granddaughter. Approx 3cm from top of bail to bottom of heart. Bail is approx:10mm x8mm x 1.8mm and hole is 5.5mm. Most snake chain bracelets are 2.5mm-3.5mm thick so these dangle charms fit perfectly. Set of 2 dangle charms for Grandmother and Granddaughter. The charms are approx 3cm from top of bail to bottom of the heart. Bail is approx:10mm x8mm x 1.8mm and hole is 5.5mm. Most snake chain bracelets are 2.5mm-3.5mm thick so these dangle charms fit perfectly. The charm is approx 7mm long and 8mm across. The charm is small and is only suitable for floating lockets. They are not suitable for Pandora or charm braceletsas there is no hole for threading or hanging. Set of 2 dangle charms for Grandmother and Granddaughter. Bail is approx:10mm x8mm x 1.8mm and hole is 5.5mm. Most snake chain bracelets are 2.5mm-3.5mm thick so these dangle charms fit perfectly. DandR Jewellery makes silver plated jewellery for children, teens and adults, with silver charms, or silver plated charms. Bail is approx:10mm x8mm x 1.8mm and hole is 5.5mm. Most snake chain bracelets are 2.5mm-3.5mm thick so these dangle charms fit perfectly. Set of 2 dangle charms, one rabbit and one clock. DandR Jewellery makes silver plated jewellery for children, teens and adults, with silver charms, or silver plated charms. 9mm Custom Made Personalised Charm. Although this photo shows a standard layout, the charm can be personalised in any way. Our charms are custom made 9mm Italian photo Charms. They are stainless steel and compatible with all other Italian charms and Italian charm bracelets. Our charms are custom made 9mm Italian photo Charms. They are stainless steel and compatible with all other Italian charms and Italian charm bracelets. Made with the highest quality photo paper to ensure the best possible picture. 100% Genuine 925 ALE Hallmark Sterling Silver Pandora. Pandora Decorative 'Crazy' Clip . FREE Pandora Drawstring Pouch with every charm . 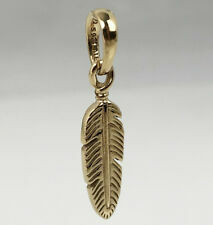 This clip will keep your charms in place on your bangle/bracelet, and are usually bought in pairs. Bail is approx:10mm x8mm x 1.8mm and hole is 5.5mm. Most snake chain bracelets are 2.5mm-3.5mm thick so these dangle charms fit perfectly. On all charms - add 5 charms to basket! The price is for one charm. Buy 4 and get the 5th for free. 9mm Laser Engraved Italian Charm. They fit any size wrist as you can choose the number of charms in the bracelet, plus you can add or take out links whenever you like. 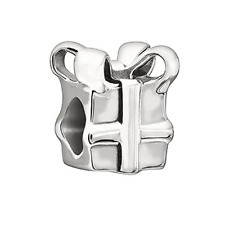 All our Italian Charms are stainless steel. Bail is approx:10mm x8mm x 1.8mm and hole is 5.5mm. Most snake chain bracelets are 2.5mm-3.5mm thick so these dangle charms fit perfectly. 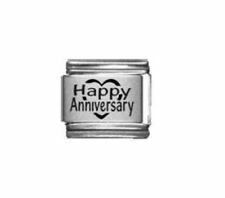 You can pair this with a year charm or number charm to represent the number of years married. 9mm Custom Made Personalised Italian Charm. Although the photo shows a standard layout, the charm can be personalised in any way. About custom made 9mm Italian photo charms - They are stainless steel and compatible with all other Italian Charms and Italian Charm bracelets. S925 STERLING SILVER. - yes - hallmarks ALE & S925 are visible on the charm. AUTHENTIC PANDORA. 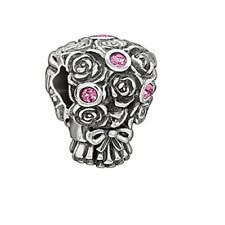 is this a genuine PANDORA charm?. - Pandora pouches are available to BUY NOW. "16 YEARS OF LOVE CHARM". The price is for one charm. Buy 4 and get the 5th for free. S925 STERLING SILVER. - yes - hallmarks ALE & S925 are visible on the charm. AUTHENTIC PANDORA. is this a genuine PANDORA charm?. - Pandora pouches are available to BUY NOW. 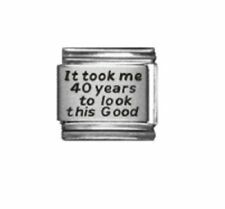 "CELEBRATE 40 YEARS CHARM". Silver tone floating locket charm. The charm is small and is only suitable for floating lockets. They are not suitable for Pandora or charm braceletsas there is no hole for threading or hanging. It has 6 aquamarine coloured rhinestones enclosed within a delicate silver cage to make a little ball. It has a lobster clasp, so it will fit clip on style charm bracelets. The size of the ball itself is 10mm, the overall length being approx 29mm, including clasp. 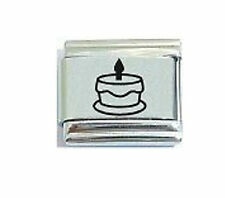 Engraved Charm for Birthday, 16th, 18th, 30th, 40th etc Can be Personalised! 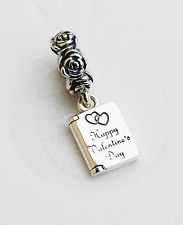 The charm is small and is only suitable for floating lockets. They are not suitable for Pandora or charm braceletsas there is no hole for threading or hanging. Gold tone Graduate diploma with a red seal. Bead size is approx 10mm x 10mm. Hole size is 5mm. All orders received in a pretty organza gift bag. Ladies Pearl Bracelet with ANY Engraving on Heart or Round Charm. High Quality! (Approx Size:) L 2.5 cm, W 0.8 cm Thread Hole 0.45 cm. The charm is approx 7mm across. The charm is small and is only suitable for floating lockets. They are not suitable for Pandora or charm braceletsas there is no hole for threading or hanging. A super high quality item - a solid, non hollow piece of jewelry. 1 x solid 925 sterling silver pendant charm bead, featuring three solid beads which graduate in size with the smallest dangling from a delicate chain. This beautiful piece looks great as either a charm bead or may also be worn as a necklace pendant. Hole size for bracelet or chain: 4mm. As such, there are slight differences between every bead - i.e. beads are not identical and the one that you receive may differ slightly from the image (but not so that you would notice!). ► copper, silver plated single core. This listing for 1 x 9mm Italian Charm with HAPPY HALLOWEEN on a MATT finish base ***please read the full description BEFORE buying*** Remember to click ADD TO BASKET to ensure you always qualify for our promotions and SPECIAL OFFERS! Don't just click Buy It Now!. (All my pandora are 100% genuine, discontinued collections. 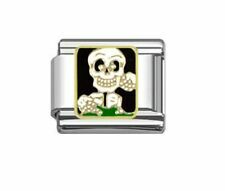 Genuine new pandora charm. 1) pandora velvet pouch - FREE. A single, black coloured lampwork charm bead, decorated with red ringed circles. The glass bead has a single, silver plated core, without a thread. As such, there are slight differences between every bead - i.e. beads are not identical and the one that you receive may differ slightly from the image (but not so that you would notice!). New Genuine Pandora Bride and Groom Charm Sterling Silver 791116 ALE S925. A single, black coloured lampwork charm bead, decorated with a pink flower. As such, there are slight differences between every bead - i.e. beads are not identical and the one that you receive may differ slightly from the image (but not so that you would notice!). Italian charm bracelet with 5 charms mothers day gift.